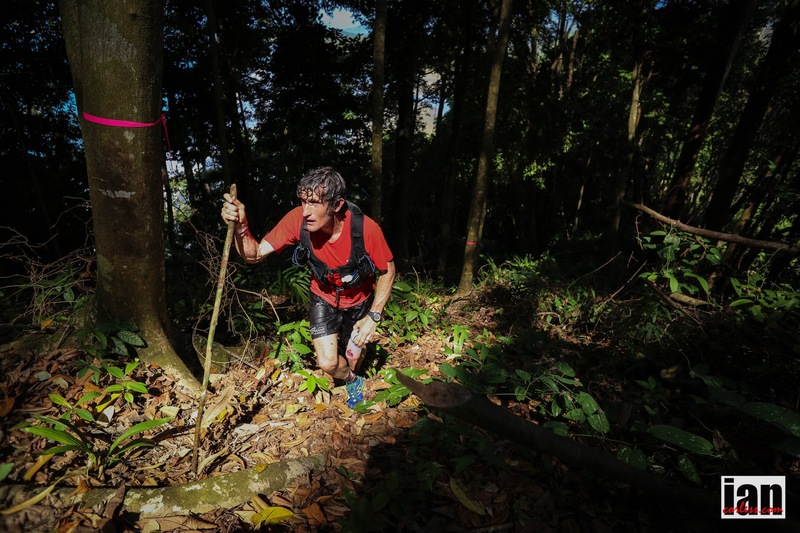 The 2016 ‘TCC” (The Coastal Challenge, moved inland today for 35km’s of relentless climbing, at times technical trail and a brutal descent that hammered tired legs all the way to the finish line. The early morning start of 0530 guaranteed the runners a good 1-hour window of cool temperatures but as they climbed higher and higher, low cloud sheltered them but eventually the cloud burned away and searing heat punished the runners. Ester Alves made her mark on the race today by extending her lead by over 30-minutes, however, the winning margin doesn’t tell a true story. Elisabet Barnes fought very hard early on the keep Alves in sight and hopefully pull away, however, technical trail and a long section in a very technical river bed ruined any chance. Alves finished the stage and many commented how relaxed she looked and how well she has adapted to the heat after a tough day 1. A real point of topic is how little she has been drinking… a no, no for the local but it has worked for Alves. The men’s race looked all set for a group run to the line with Iain Don-Wauchope, Gonzalo Callisto and Chema Martinez running side-by-side over all of the first 25km. 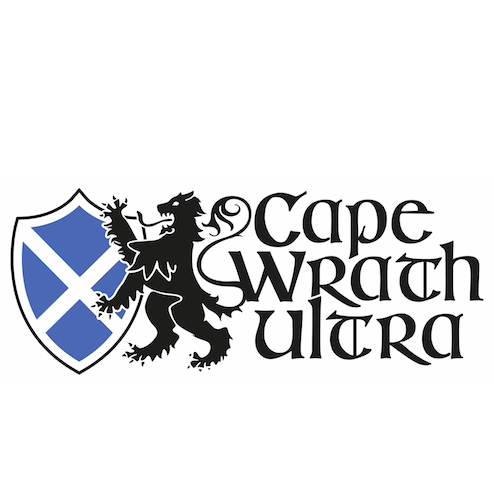 Don-Wauchope safe in 1st place, Callisto safe in 2nd and Martinez no threat to the overall standings. But where was Sa? 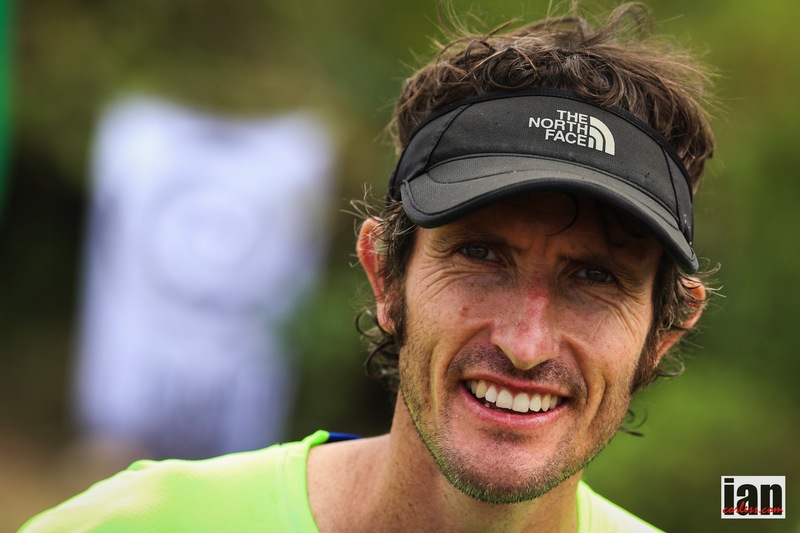 “We were having a great run, relaxed, chatting and just a great day on the trails and then Sa flew past us,” Don-Wauchope said. “He really mixed things up and as he pulled away I went with him. He was really motoring. We started to pull away and I felt good. Eventually I pulled away and Calisto bridged the gap back to Sa. 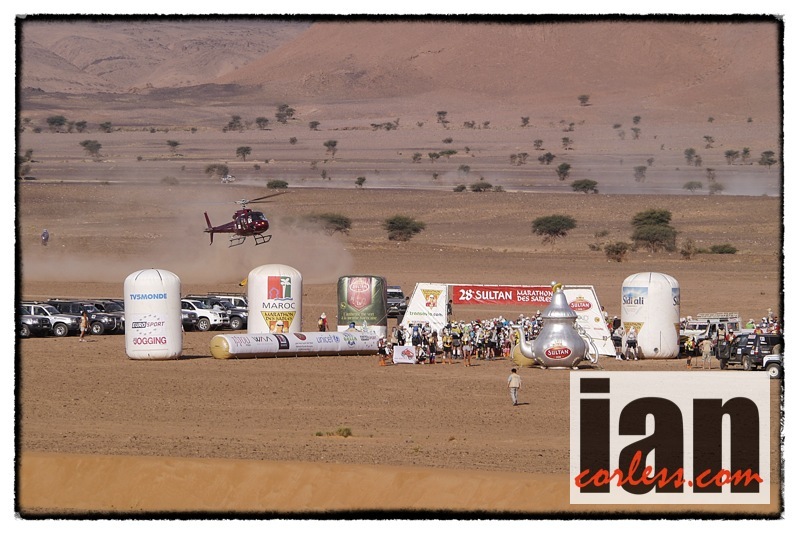 The downhill at the end was tough as it was so rutted but I was glad for another stage victory” – Iain Don-Wauchope. All credit to Sa for making a move and throwing it all on the line. Tomorrow is the longest stage of the week and I wonder if Sa will have another go? 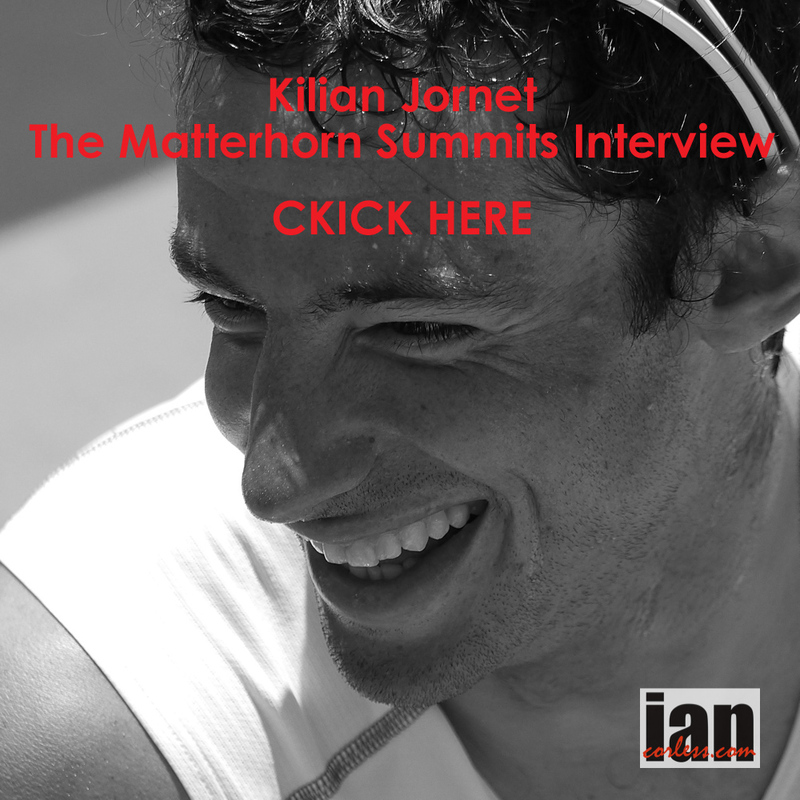 The longer the stage, the better he gets and heat is no issue as he proved by winning Badwater 135. Stage 5 starts is the longest day of the week and leads into the stunning Drakes Bay. Everyone is tired now, no exhausted! It’s going to be a tough day. 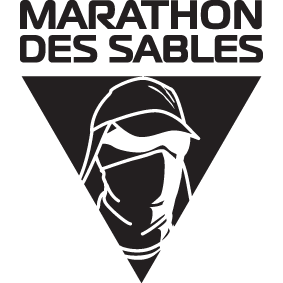 Marathon des Sables celebrated 30-years in 2015. An amazing achievement. Just think about it, multi-day racing has been in existence for so many years. 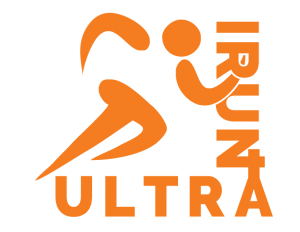 It’s a sign of how ultra running and the challenge of testing oneself over long distances and over multiple days is so appealing. 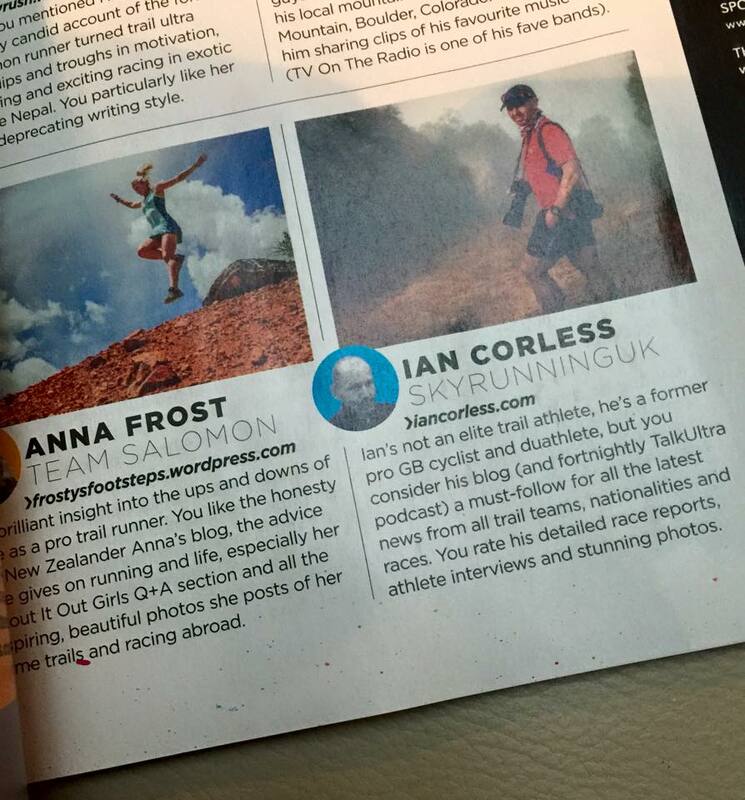 Racing is a word I like to use in a very casual way when I talk about ultra running. 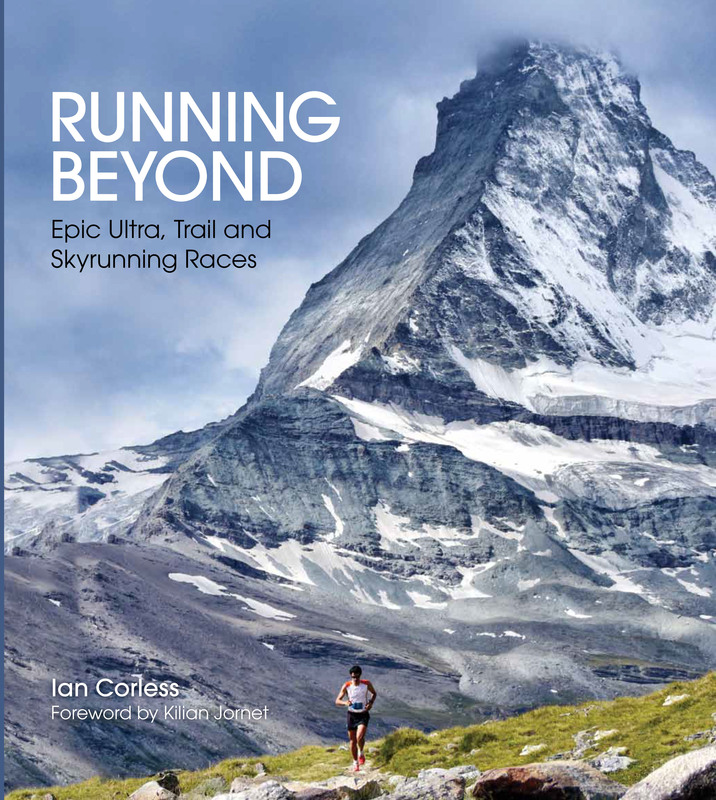 After all, only a very few runners can really race an ultra. The real story often is those who test and push themselves to see what is possible, to push a boundary, to achieve something that they thought impossible is what captivates me. Don’t get me wrong, I marvel at the front of the race but I can often feel a little removed from the supreme efforts. Imagine finding all of the above in Australia? 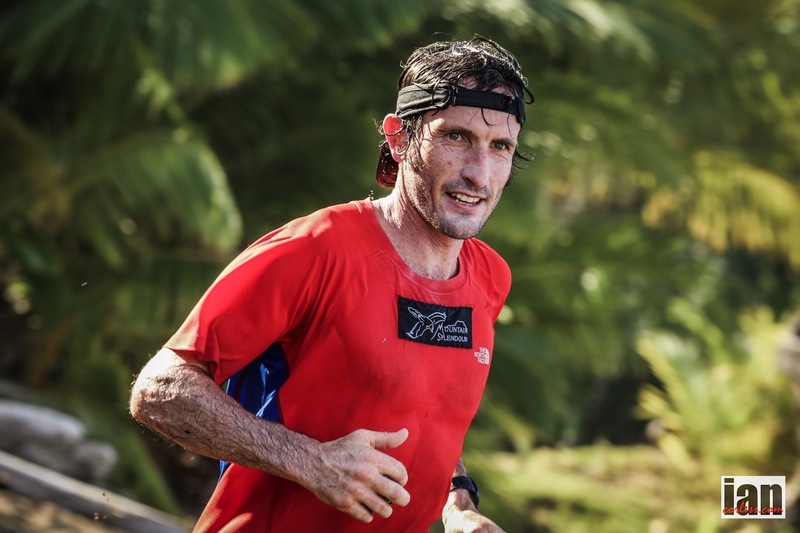 The Big Red Run is the brainchild of Greg Donovan, a runner who ran the 4 Deserts and then decided he needed a 5th, back home, in Oz. 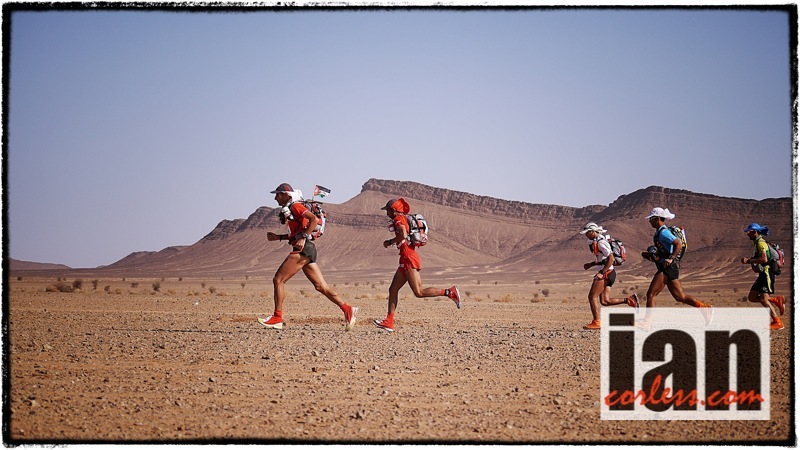 Taking on the classic multi-day racing format created by Marathon des Sables, runners at the Big Red Run will travel through the Simpson Desert on mainly untracked paths but gear is transported to each night’s camp allowing you travel each day without the burden of a heavy pack. Sleeping in tented accommodation for the entire race, the week is topped and tailed with accommodation at the Birsdville Caravan Park or Sports Hall. 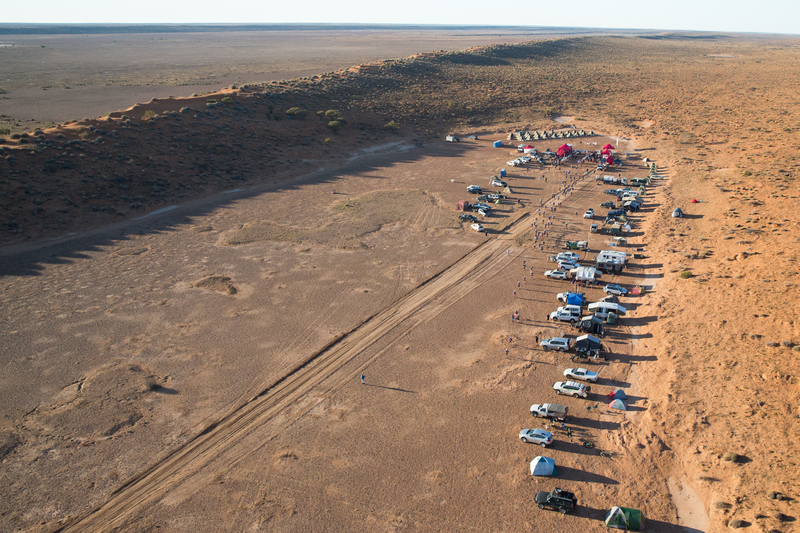 Mixing sand dunes, gibber plains, salt lakes, clay flats and several station tracks, the Big Red Run is a true adventure. 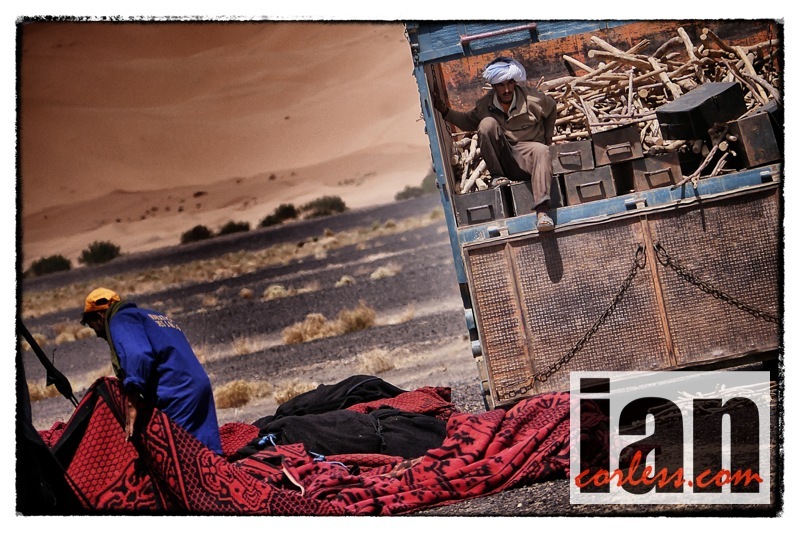 Camp will be near Big Red for the first 2 nights and on a gibber plain in a dune amphitheater for the next 2 nights. The final camp after the long day is on the Diamantina River just outside of Birdsville. 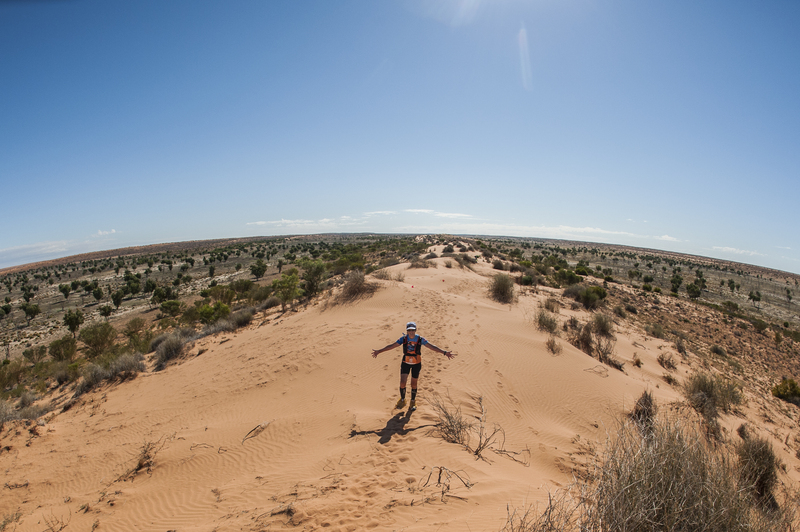 Covering the classic distance of 250km in 6-stages the race is a great adventure into the Australian outback. 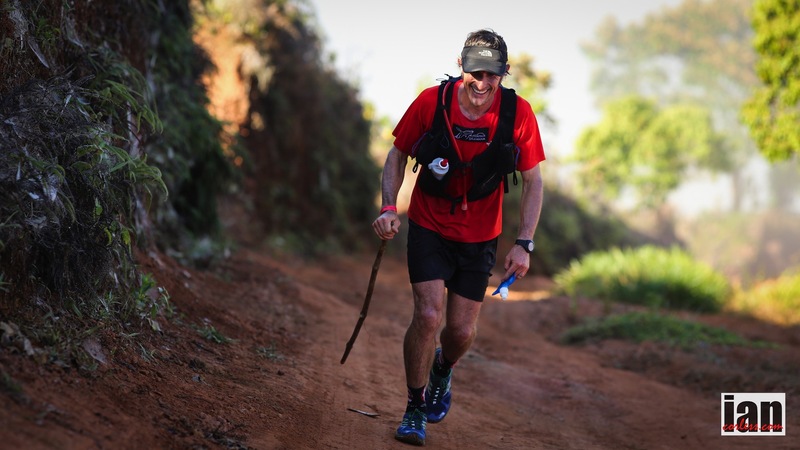 5 marathons and a long day of 84.39km make up the total distance for the race and if that is too much, a shorter race of 150km is available; The Little Red Run. As with any race, the after party is a key element. Here in Oz they celebrate properly with a concert. 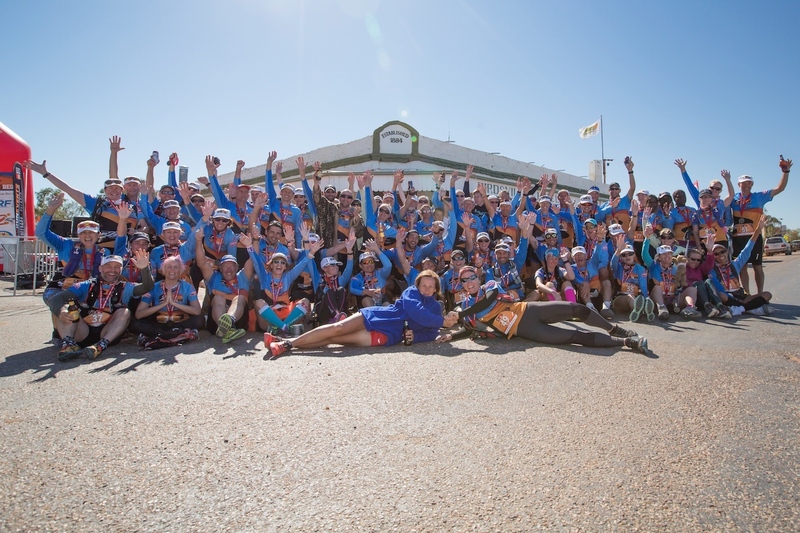 Yes, runners gain entry into the ‘Birdsville Big Red Bash Music Festival’ that coincides with the end of the race. 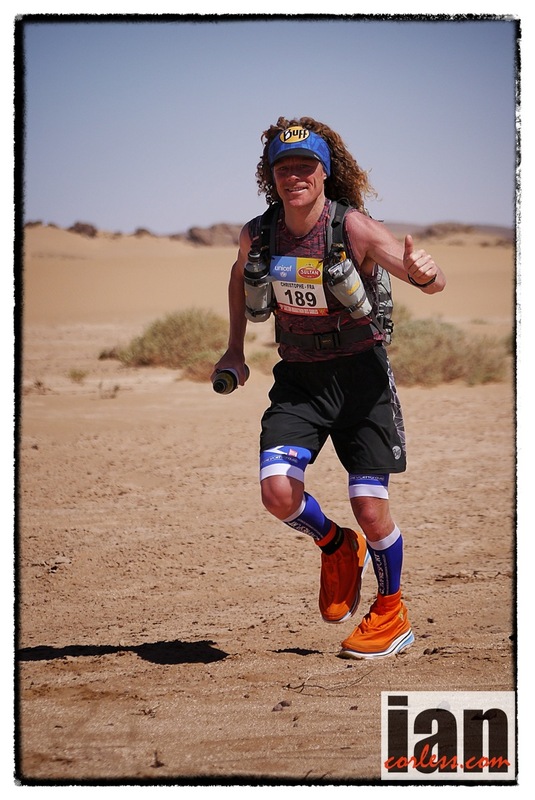 Attracting a global audience, the Big Red Run in 2016 is inviting past winners to rejoin the race and to increase the competition, 2015 Marathon des Sables ladies champion, Elisabet Barnes will toe the line. 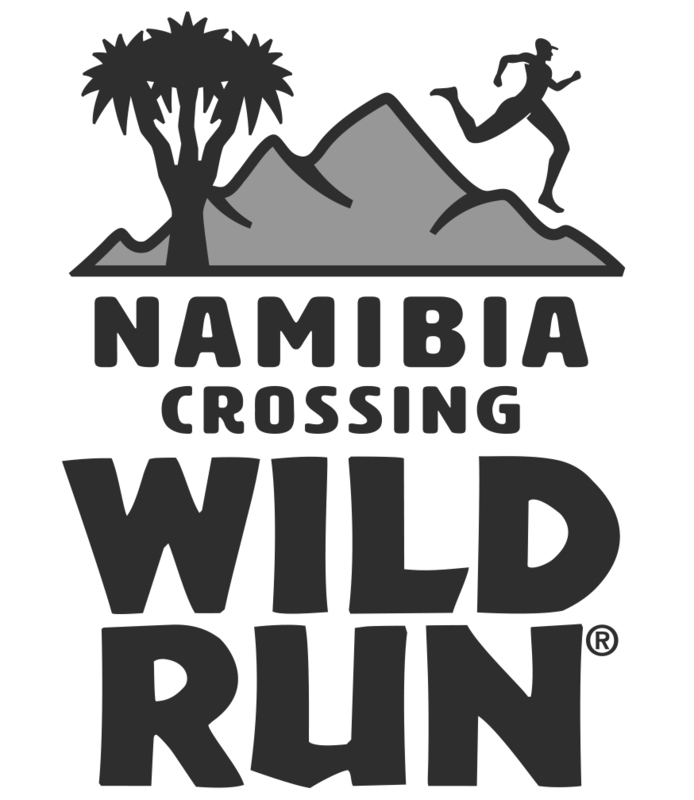 Entries for this unique experience opened on the 16th September 2015 and places are limited. Entries close on May 5th for the Big Red Run and all entrants who enter before January 16th will obtain an early bird discount. Be sure to get in early and take advantage of the early bird specials outlined below which apply to both Australian and overseas participants! All competitors and volunteers receive free tickets to the Birdsville Big Red Bash music festival on 5th and 6th July valued at over $300! Festival details to follow in late 2015. * Balance of entry fees will be invoiced and payable by 8th April 2016. Entry fees can be paid by direct transfer or credit card. Credit card payment will incur a 2.5% surcharge. 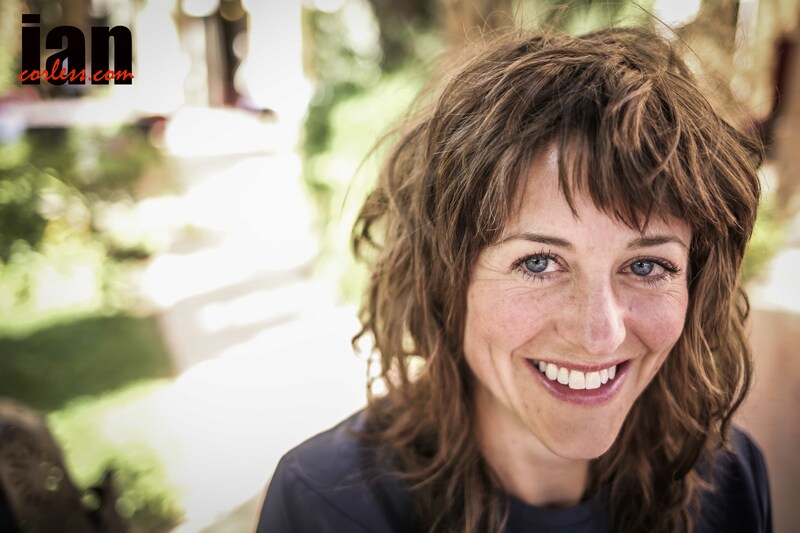 Total Early bird extras valued at $260. Early bird packs will be sent by 29th February 2016. Please use the contact form below to express an interest in the race or book a place. On Sunday, 25 January, at 15:30pm I departed my home in the Drakensberg, South Africa, and embarked on the longest and most challenging trip of my life. I finally arrived in San Jose, Costa Rica, on Wednesday, 28 January. Actually, I only arrived at my hotel at 17:30 after taking 3 local buses from the airport to Poasito where I had booked a hotel room for the next few nights. In total, 82 hours had elapsed since I had left home! 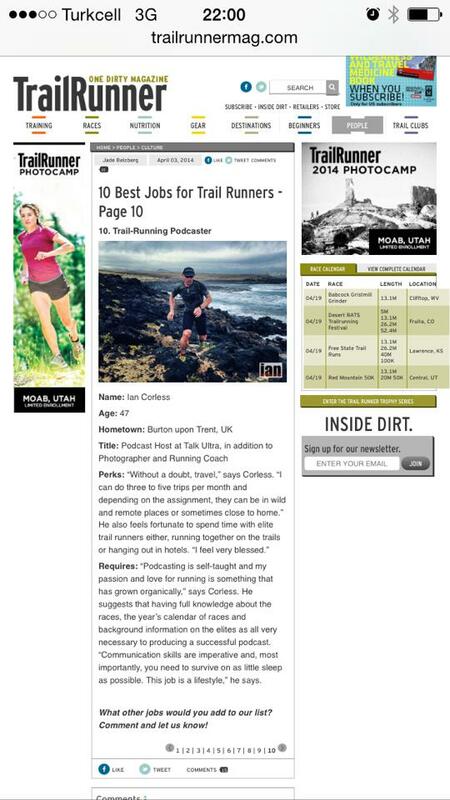 Not only was this trip long and testing in duration, it was extremely stressful and proved to be a bigger challenge than the actual trail running race that was the purpose of my trip to Costa Rica. 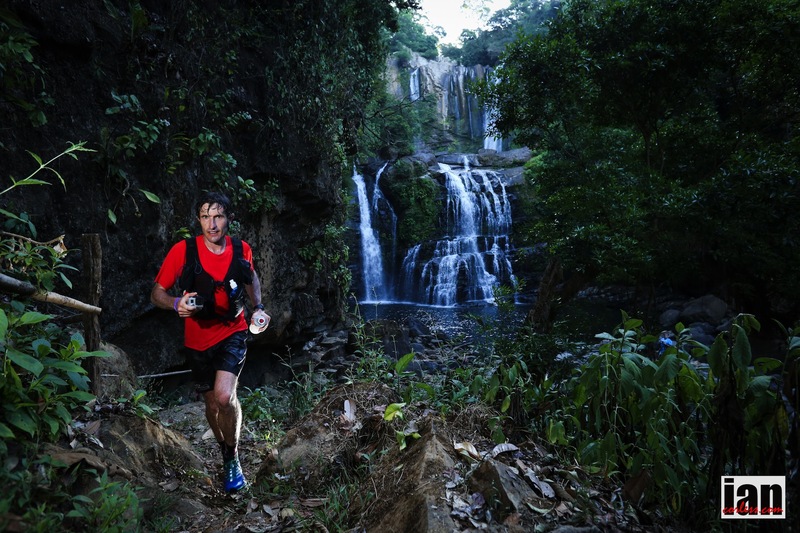 The Coastal Challenge is a 6-day, 225km, supported trail run through the tropical rainforests of the South Western region of Costa Rica, Central America. 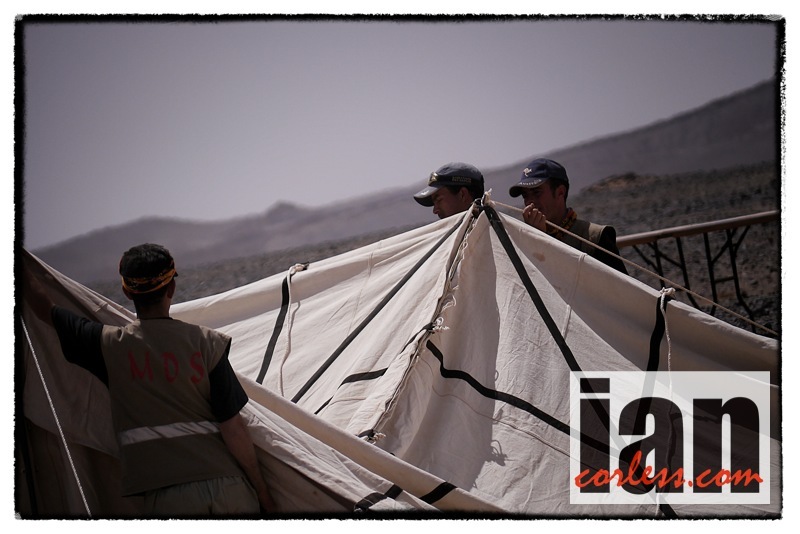 All runners bring along their own tents, sleeping mats, sheets, mosquito nets etc. 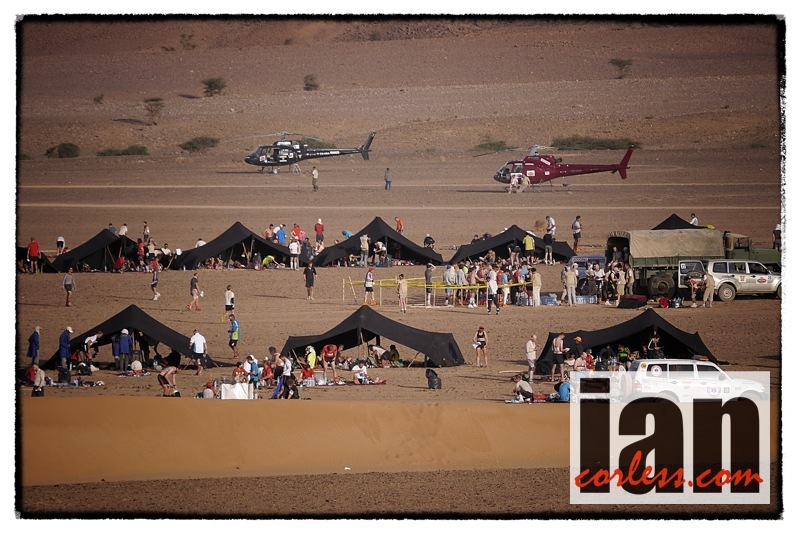 The organisers provide the meals, the overnight camping venues, transport for your bag, a well-marked route, aid stations on each day’s route and the usual back-up crew of media, medics, volunteers and logistics people. 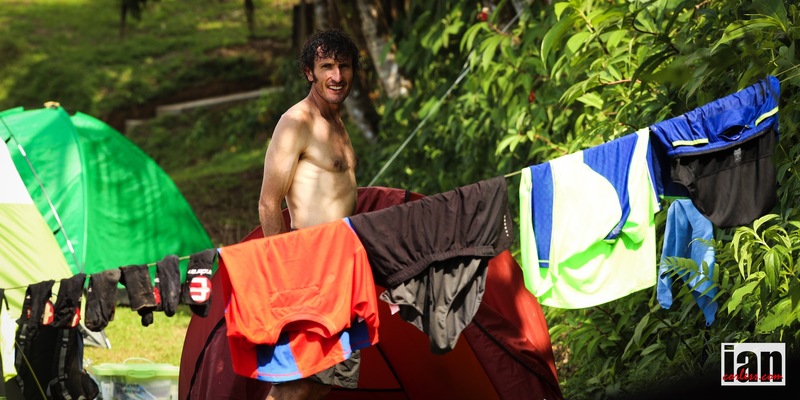 All runners are treated the same whether you are an international trail running legend or a local Costa Rican that the organisers haven’t even heard of before. For me, this race was a true test of perseverance and a reminder of how important it is to maintain a positive mental outlook no matter how bad the situation seems. I struggled for the first 2 days with headaches, my legs feeling lethargic, without rhythm and generally out-of-sorts. It felt as though my body was fighting off a bug or possibly still recovering from my arduous trip. Nevertheless, I kept plugging away and just tried to enjoy the journey and the beautiful surroundings. 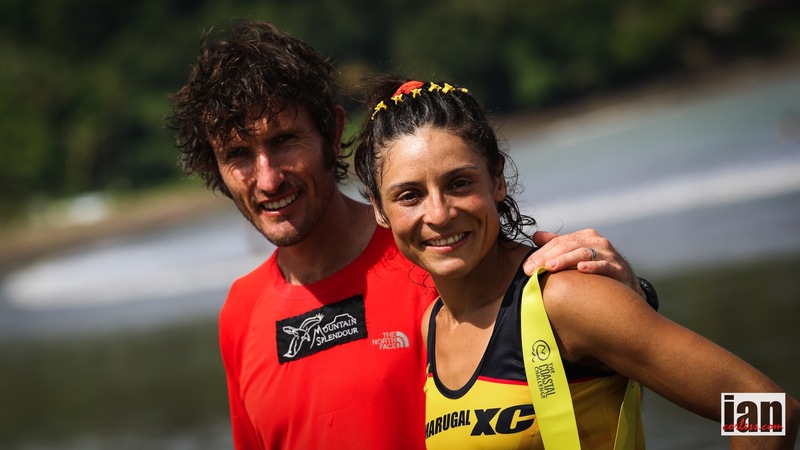 Despite how I was feeling and the results of each day, it was a privilege and honour to be in Costa Rica running through forests, rivers and beaches that most people would never get to experience. As it turned out, the final result of day 1 was not bad. Mike Murphy, the Canadian, was galloping off ahead in the lead, looking mighty fit, when he failed to see the course markings and continued in the wrong direction. As a result, I found myself in the lead and somehow managed to maintain that lead all the way to the end. It was extremely hot towards the end of the stage and it required a lot of mental effort to keep going all the way to the finish. 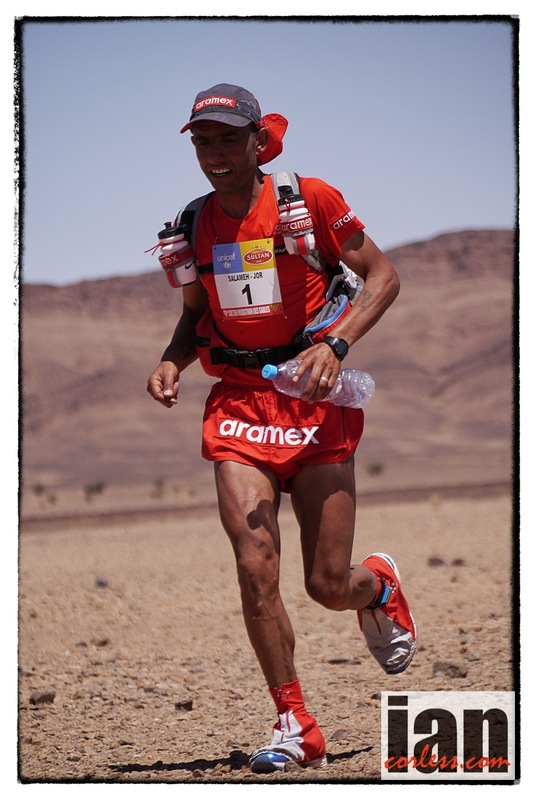 I only had about 6 minutes on Ashur Yousseffi, a local Costa Rican, but about 14 minutes on Mike. There was no doubt that Mike was in great shape and the fastest runner on the day. I would have to keep an eye on him. 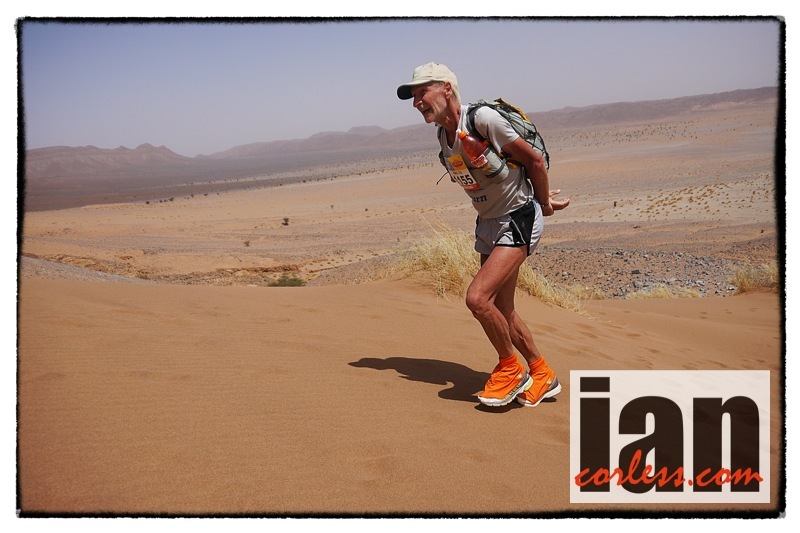 As expected Karl Meltzer had started slowly and make good progress towards the latter stages. Joe Grant struggled in the heat, as did everyone else. I just seemed better able to adapt to the conditions and get to the finish quickest despite not feeling great. Day 2 started with a steep climb from our lovely overnight campsite at Rafiki Lodge. Mike immediately took the lead closely followed by Joe and I. While I kept an eye on Mike and Joe, I remained focused on myself maintaining a constant pace that I was comfortable with at that stage. By the top of the climb Mike and Joe had a few minutes on me and I was pretty sure I wouldn’t see them again. So I continued to slog away up and through an overgrown track through the jungle, not feeling great but moving forward. By the 2nd check point / aid station, another local Costa Rican, Jeffrey Portuguez, had caught up to me while Mike had extended his lead to about 10 minutes. Joe was only 3 minutes ahead so I was hoping we could reel him in at some point. 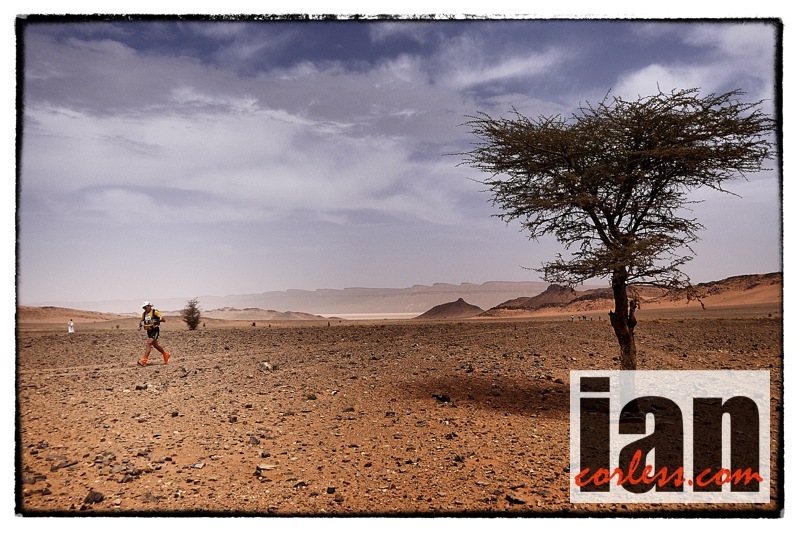 The section towards checkpoint 3 was flatter along a good gravel road but it was also getting very hot. Jeffrey dropped off the pace along this section but I was also suffering, so I stopped to buy a coke at a local shop. Shortly thereafter, at checkpoint 3, I was surprised to catch Joe; he had rolled his ankle badly and was hobbling along. We headed off together to tackle the last section along a long open beach; it was hot and we were both suffering a bit. It was great to have some company for this last stretch and I was very relieved to finally reach the end of day 2 alongside a new friend. 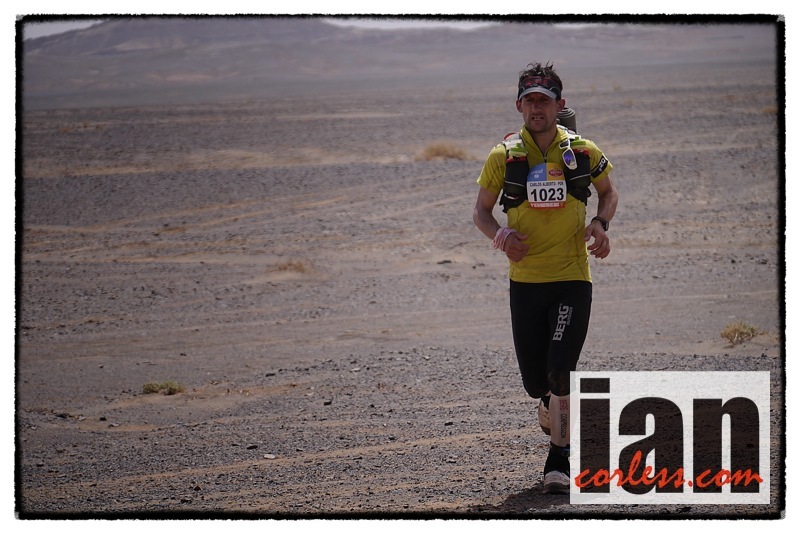 Mike had a stormer of a run; he set a new stage record and finished almost 30 minutes ahead of us. That evening I mentioned to someone that the only way to beat Mike would be to chop his legs off! He had a 16-minute lead, I still wasn’t feeling 100% and he looked like he was ready to take on the world! Little did I know that he was having a few issues of his own that would soon escalate into more serious problems. Day 3 started in much the same way as the first 2 days. Mike sped off from the start and the rest of us followed. I needed a few minutes to warm up and then started feeling okay. I soon realised that Mike wasn’t gaining any more distance on me and I slowly caught up to him. I knew we had a rocky river section ahead of us and I suspected that I would be able to negotiate the slippery rocks better than Mike. As it turned out, this was a critical part of our race and the turning point of our dual. We arrived at the river section together. I focused on just getting over the rocks and through this river section as efficiently as possible. Mike, on the other hand, was struggling over the rocks and kept falling and slipping. He lost his sunglasses and most of his pre-mixed race juice. He grew increasingly angry with himself and I knew I should keep the pressure on by moving swiftly through this tricky section. After 10km, we arrived at checkpoint 1 together. The big difference was that Mike had expended a lot of energy up until this point. He was battered and bruised with numerous cuts on his legs, he had lost his sunglasses and his pre-mixed race fuel and, more importantly, this was now playing on his mind. Incidentally, I had also lost my cap but I didn’t worry too much about it. I filled up my bottles, grabbed some delicious fruit and then ducked off into the bush to alleviate a bit of diarrhoea. 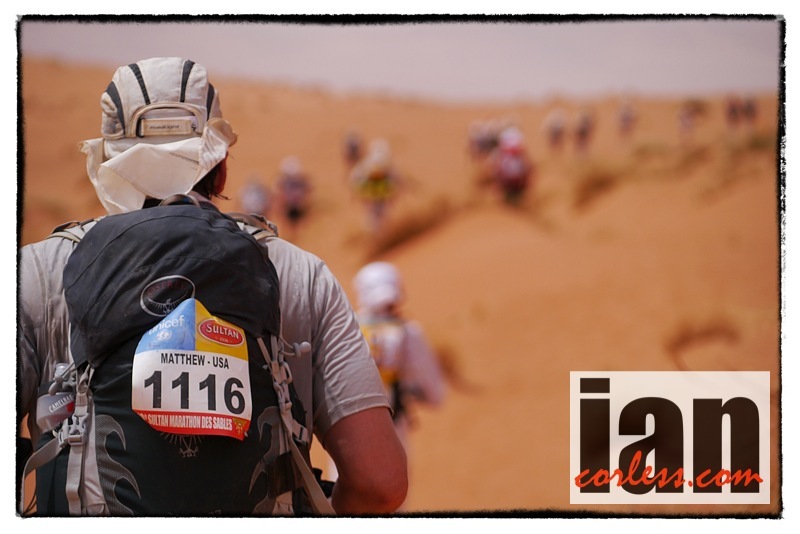 Soon thereafter, we trotted off from checkpoint 1 together and immediately started a climb out of the valley. Mike dropped back half a stride and then a full stride. I was feeling good so I increased my tempo slightly. I knew I had to take advantage while I was feeling good and Mike was struggling. Even though I was aware of Mike, I remained focused on myself realising that it was still a long way to go to the finish on day 6. I got into a comfortable rhythm, kept myself well hydrated and as cool as possible. Towards the end of the day we had a long beach section to negotiate. 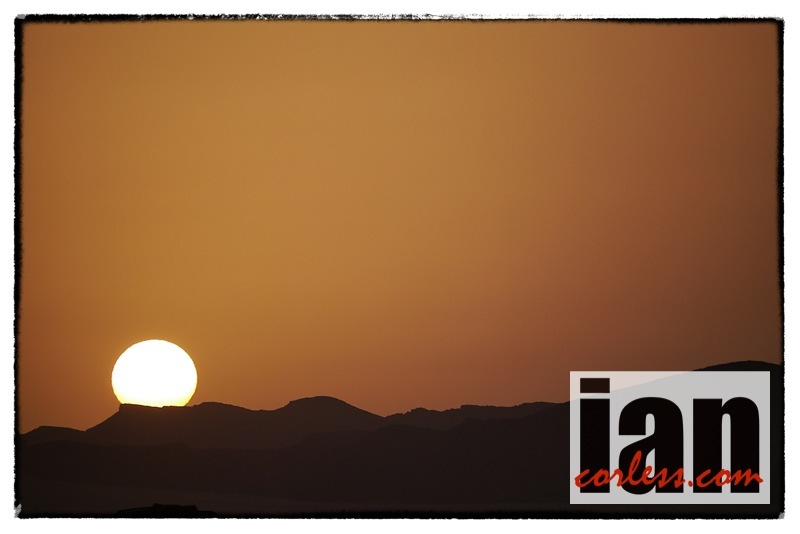 It was very hot and, without my peak, the sun felt more intense than usual. I attempted to make a plan with a large leaf to provide some protection from the blazing sun, but it only lasted about 500m. Despite feeling good at the start of the beach section, by the time I reached the other end of the beach I was suffering and really feeling the heat. To everyone’s relief, including mine, there was an Eden-like freshwater stream and plunge pool as the route left the beach and entered the forest. 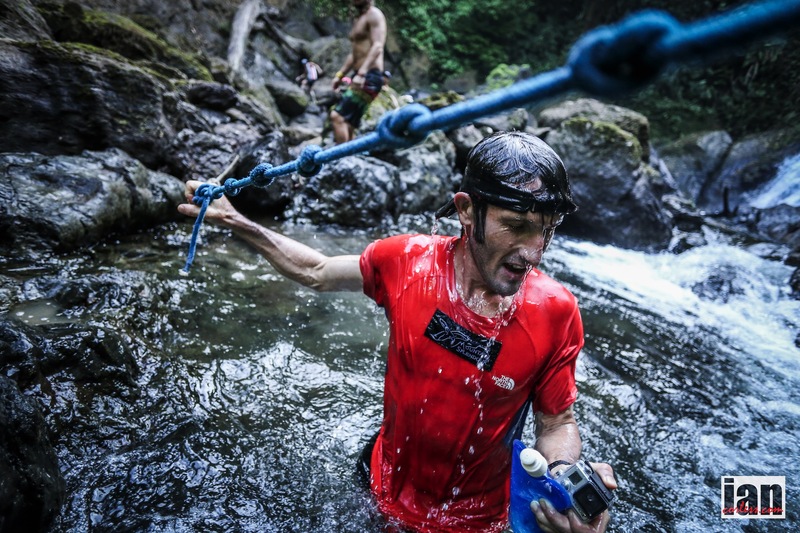 I submerged by body in the cool water, gulped down some oh-so-refreshing water and then started the slog up the steep forest track towards the final checkpoint. From there it was a blistering hot 4km stretch along tar towards the finish. I didn’t want to over-exert myself but I also didn’t want to lose any advantage that I had built up over Mike. Keep in mind that you have no idea of the time gaps between yourself and those behind you; I didn’t know whether Mike was 3 minutes or 30 minutes behind me and how he was feeling or moving. So I just kept trudging along towards the finish. I was pleasantly surprised to arrive in a new stage record time of 4:43, beating the previous record by almost 33 minutes. Mike arrived about 16 minutes later, also under the old stage record. Overall, I was now leading Mike by less than 2 minutes. The race was on! Day 4 was another big day starting with a long, steep climb and ending with a very steep descent with a total ascent of 2950m. Mike was a little more tentative at the start and didn’t go tearing off as usual. As soon as we hit the first climb he fell off the pace again. 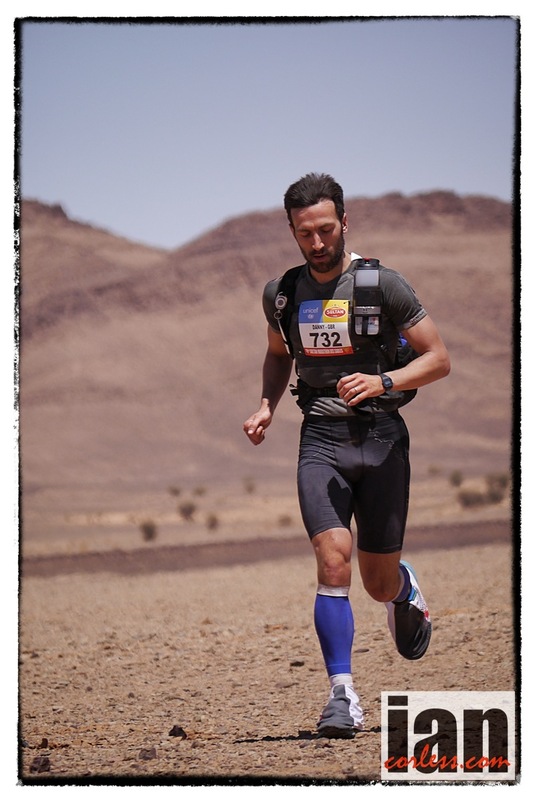 I applied the same strategy as in the previous stages; I kept going at a good, steady pace that I knew that I could sustain all the way to the finish. My body was feeling better each day and I was now in the groove of running on a daily basis in the hot and humid conditions. Interestingly, the long and steep descent towards the end of the day was actually very dry. It reminded me of running back home in South Africa with brown, dry grass and dusty paths. My legs felt very good over the last few kilometres and I had a nice spring in my stride. This was a good place to be after 4 days of tough running. In contrast, Mike was taking strain and had fallen again on his elbow. This elbow later became infected and added to his health issues. Nevertheless, he wasn’t giving up and kept persevering all day long. My time of 3:58 was more than 20 minutes faster than the previous stage record and almost 40 minutes faster than Mike. I know had a comfortable lead but anything can happen in a multi-day event so I didn’t want to take my foot off the accelerator. 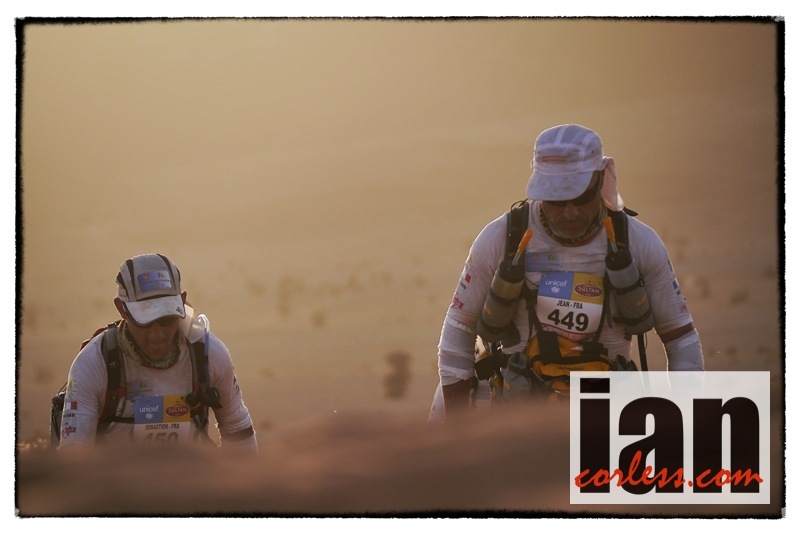 Day 5 was the last tough day and the longest in distance of the race. We were greeted overnight with some rain and started the day’s run in a gentle drizzle. The road conditions were good for the first 16 kilometres and with the cooler temperatures this made for a relatively fast pace. I was happy to tick along at my pace and soon found myself running alone up front. Shortly after the first check point the route headed onto a smaller forest road that had recently been graded. In fact, I passed the grader and other trucks at the start of this forest section. Consequently, the next section was very muddy and slippery. Even gentle gradients became almost impossible to run up. Instead of fighting through this section of about 16 kilometres, I once again focused on getting through the mud as efficiently as possible. 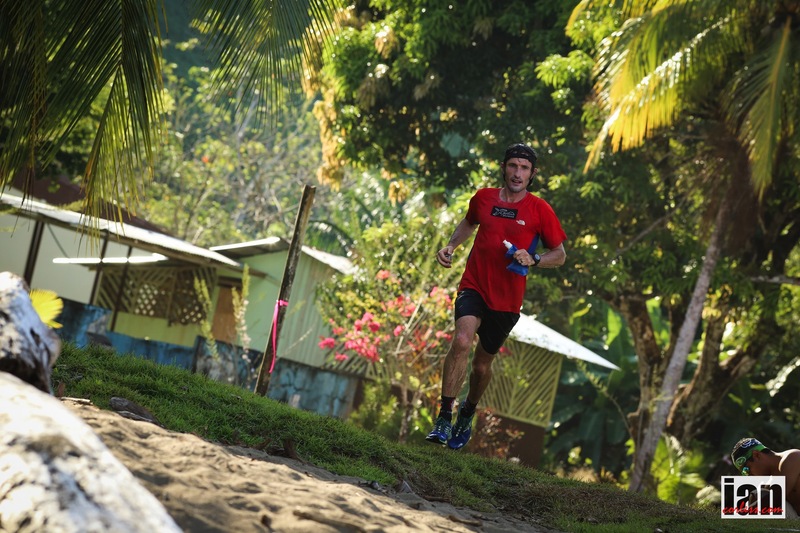 Once I was through the slippery quagmire, I was able to pick up the tempo again and head towards the finish at Drake Bay. Despite the testing conditions I was very surprised to beat the previous stage record by 3 minutes. Unfortunately for Mike, this was the day that his body starting shutting down. He put in a huge effort just to reach the finish line unassisted but he was clearly in some serious trouble. The medics were very quick to attend to him and he was ultimately admitted to hospital the following morning with multiple health issues. Mike’s withdrawal from the race left the door wide open for Ashur and Roiny to fight it out for 2nd and 3rd place overall. 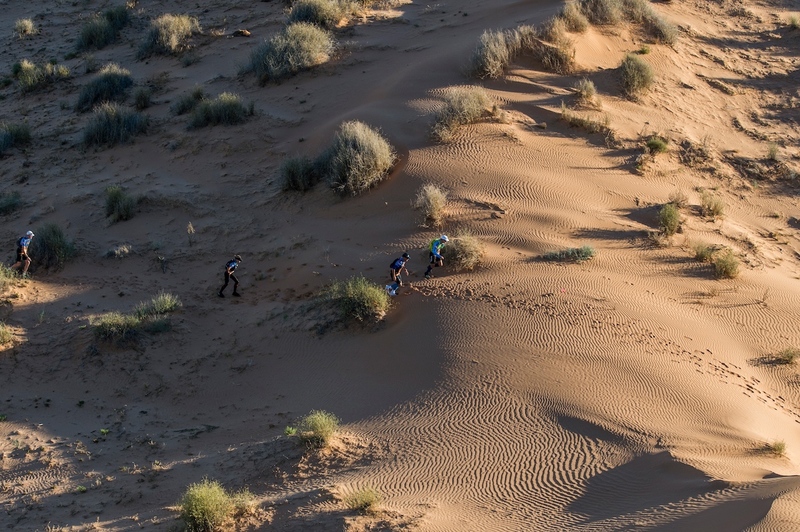 The final day’s stage was only about 24 kilometres and in the end Ashur secured a well-earned 2nd place with Roiny about 10 minutes back in 3rd. I decided to run the last day just like I had run all the other stages and managed to set another stage record. In summary, I won 5 out of 6 stages, I set records in the last 4 stages and I set a new overall record by almost an hour. I surpassed all my own expectations and was very grateful that I did not experience any major problems. What appeared to be problems for me in the early stages were, in fact, minor in comparison to what others endured, especially Mike. The beautiful setting of the finish at Drake Bay, the wonderful people and fantastic weather (despite the humidity it’s great to be in the sun!) made my victory even more enjoyable. 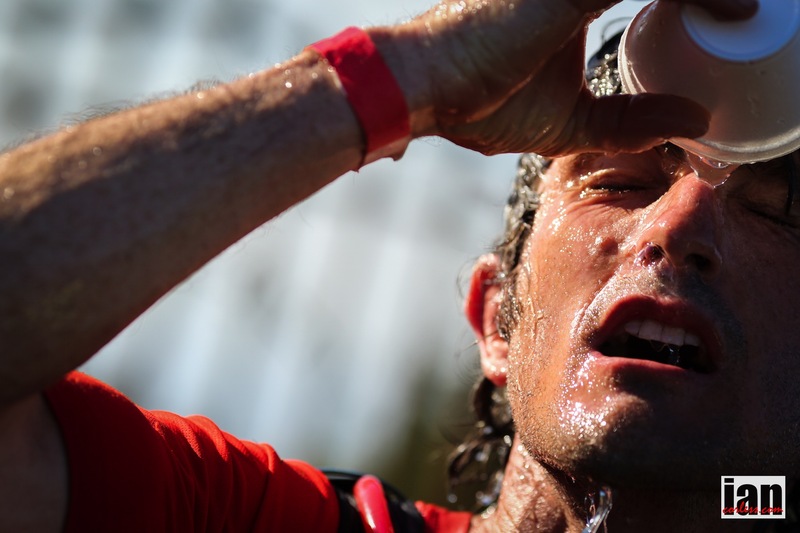 While any stage race over this distance requires careful body management, a distinguishing feature of this particular race is learning to deal with the very high humidity and high temperatures. 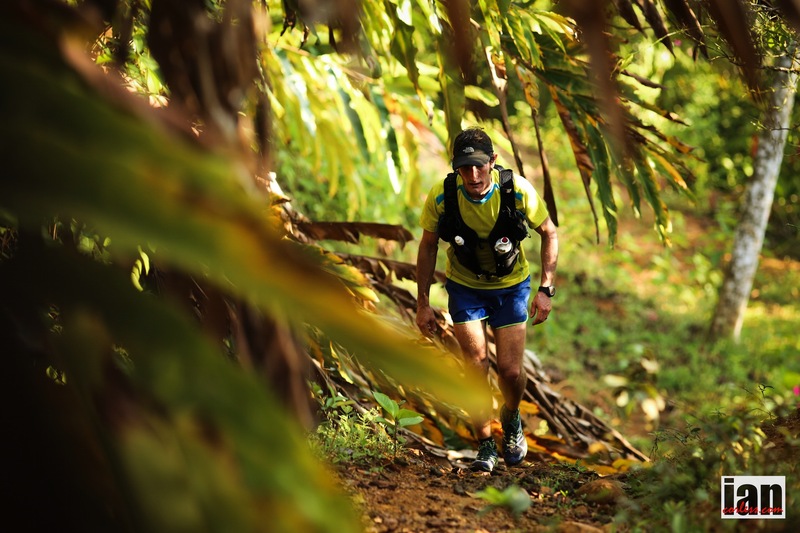 As expected, correct hydration, nutrition and recovery are vital components of this jungle race. 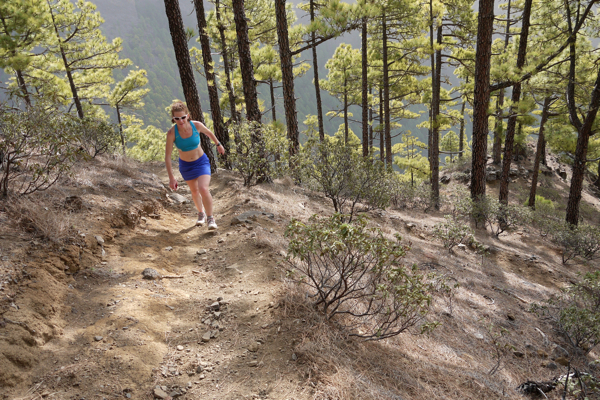 And don’t forget to look after your feet and to avoid infections from cuts and grazes while negotiating the trails! 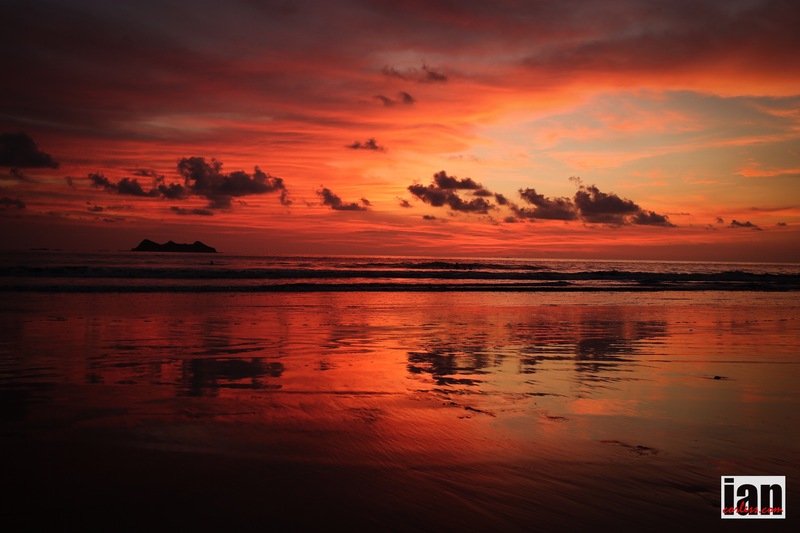 Most importantly, remember to maintain a positive attitude and enjoy the beautiful surroundings; Costa Rica has tremendous biodiversity and is a paradise waiting to be explored. 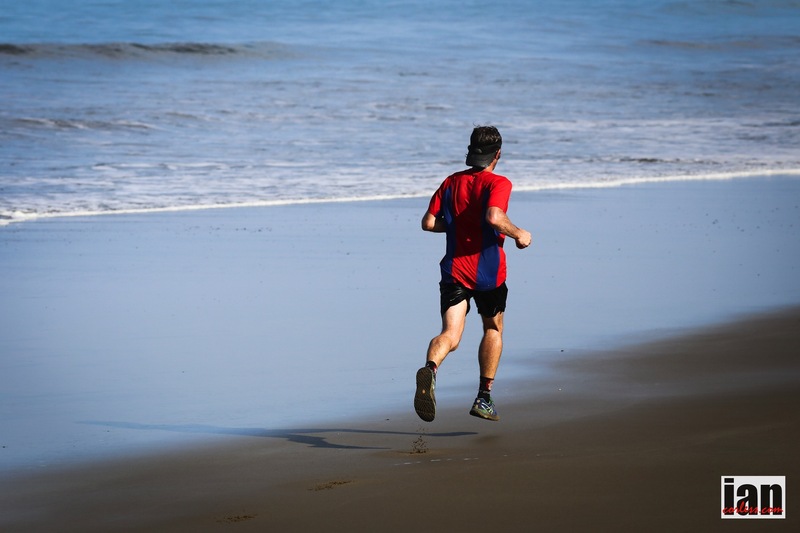 All in all, The Coastal Challenge is a great event that tests your physical fitness and mental toughness to the maximum. However, what I will remember most about this unique event are the wonderful people that I met along the way. 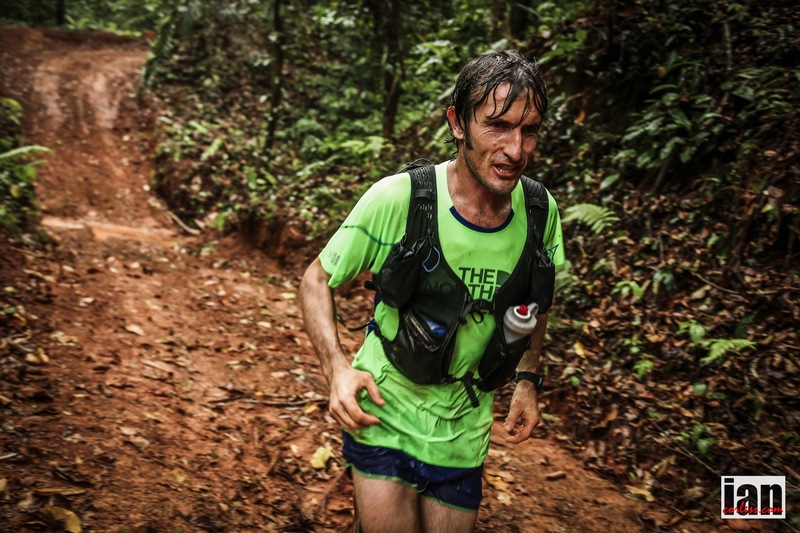 The local race organiser, Rodrigo Carazo is a gem. This guy has done some of the most amazing backpacking trips, adventure racers and explorations that I have ever heard about. Furthermore, he has a fantastic team of workers and volunteers, from the cooks to the medics to the aid station crew to the sweepers. A bunch of great people who have a single purpose, to make The Coastal Challenge as enjoyable as possible for each and every participant. 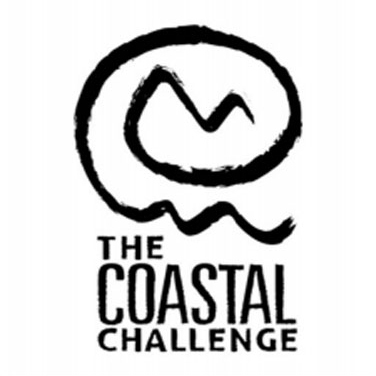 Entries for the 2016 The Coastal Challenge are now available online. 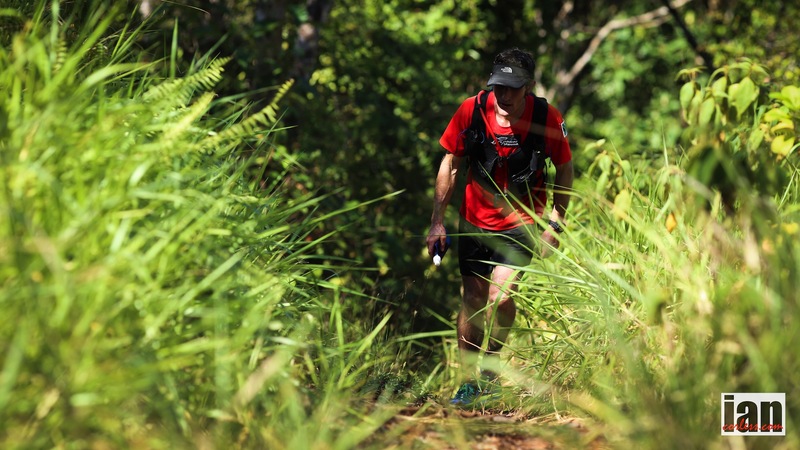 Day 2 of the Everest Trail Race is the toughest of the race: fact! It’s a brutal exercise in climbing and one that takes place at attitude stretching each and every participant to the limit. 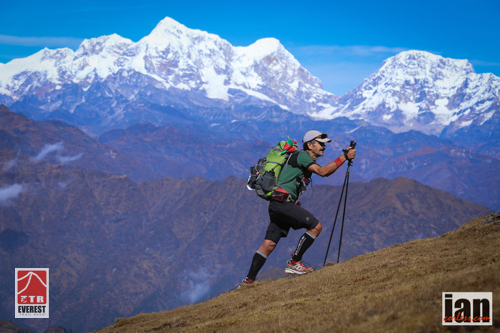 As one would expect Nepalese runners Samir Temsang and Phudorje Lama Sherpa set the pace for today. To be honest, they have a huge natural advantage on this high altitude terrain and they put this to great use. 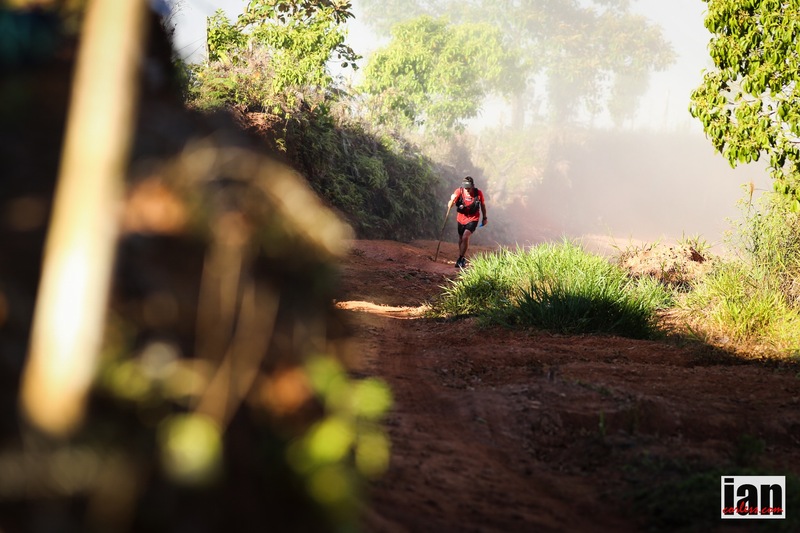 One again they ran together all day and in a repeat of day-1, Samir opened up just a short gap in the final meters to take the stage win and a slender lead overall. Zigor Iturrieta ran a stronger race today and looked in his element on the tough terrain. At the summit of Pikey Peak he laughed and joked and ran away sprinting… he may just get better as each day passes? 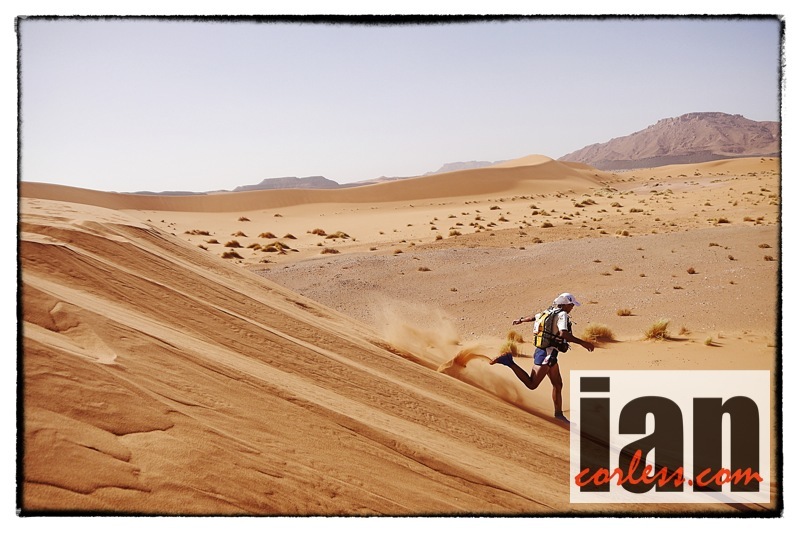 The ladies race was a repeat of day-1 with Anna Comet running strong and controlled from the front. Poles in hand, Anna powered her way up Pikey Peak with a huge smile and after the technical descent crossed the finish line with a repeat stage win. Kerry Sutton from the UK performed exceptionally well at altitude and produced a strong consistent performance to consolidate her 2nd-overall. Yangdi Lama Sherpa finished 3rd but says that she isn’t feeling too great at the moment. These things happen in multi-day racing and as we all know, anything can happen! It was a tough day with many runners coming close to the cut-off time. Officially we only have one runner not making the cut-off and although he will be allowed to continue (if he feels he can) he will be withdrawn from the overall classification. As camp settles to what will be a cold night under canvas (-12) ladies race leader Anna Comet has been sick and so we have some question marks for day-3. is 37.4km and for a change has more descending (4110m) than ascending (2512m).